Be Connected Seniors Tech Expo - Seniors Recreation Council of WA Inc. The Dust has just settled on an excellent and exciting event where 70 seniors (participants) were invited to #try1thing at the SRCWA Seniors Tech Expo, part of the world wide movement “Get on Line Week” 15-21 October, held in the Department of Local Government, Sport and Cultural Industries building in Leederville Western Australia. Through the Good Things Foundation we were fortunate enough to secure a Be Connected Grant which enabled SRCWA to run a very successful event. “Seniors Exergaming WA 2018 Competition” Metro Champions “Harman Park Fliers”. 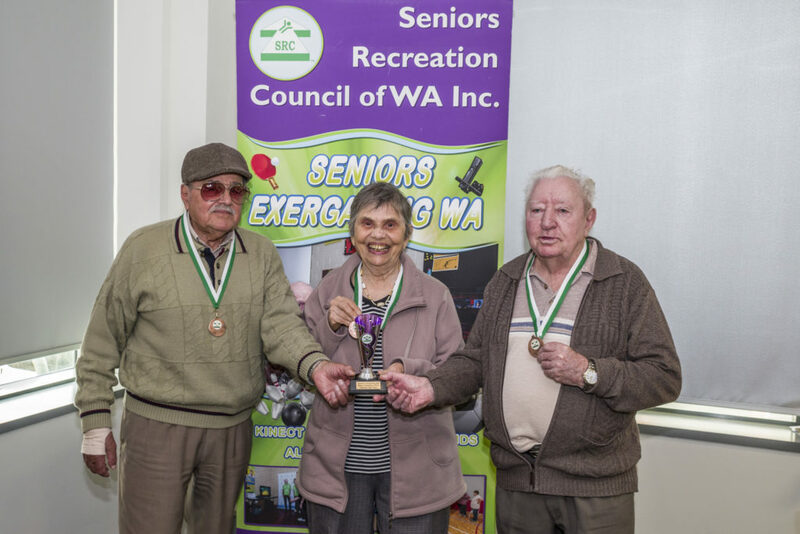 The Event opened at 10.00am with a presentation on Seniors Exergaming WA (using the Xbox 360 Kinect console a seniors application) and included presentation to the “Seniors Exergaming WA 2018 Competition” Metro Champions “Harman Park Fliers”. After each exhibitor gave a short presentation on their products and services participants were invited to #try1thing. On trying one thing participants received an entry into the draw to win a $100 gift card. The winner Jeff was very appreciative of his prize and had visited the Telstra stand where he was able to recover his email account. Participants were treated to a healthy and delicious lunch as well as tea coffee and water at the event. Our grateful thanks go to the organisations and government departments who supported this event which helped introduce and encouraged the participants to the wonders of being online. A big thank you to the SRCWA staff and volunteers who worked very hard to facilitate this event. This event would not have been possible without the support we received from Be Connected and the Good Things Foundation Australia.